Welcome to our newest blog series, all about the wonderful tool known as Scrivener. 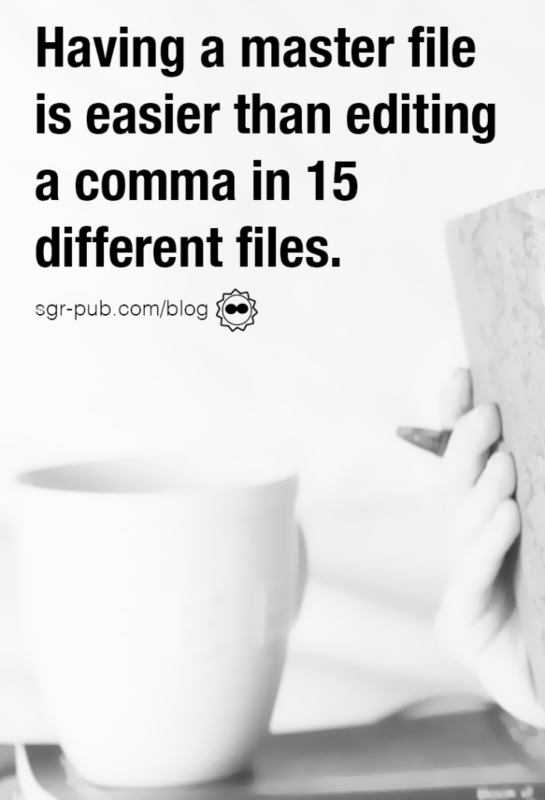 At SGR-Pub, we use Scrivener from the very beginning of the writing process all the way through formatting. It’s the best $50 we’ve ever invested, but it’s taken us a while to figure out all the features. To that end, we’ll be sharing some of our best tips for using Scrivener over the next eight weeks, culminating in a Q&A post. So if you’ve got questions, let us know in the comments! Please note: Our tips and tricks are primarily for Scrivener 2.0. We’ve heard from Literature and Latte that 3.0 is coming at the end of 2018, so we’ll be holding our breath until then. Scrivener is, at its heart, program writers use to draft manuscripts, screenplays, research papers–you name it. Over the years, more features have been added to help with exporting your manuscript to different formats. For most writers, having an all-in-one solution helps pare down on the messiness that arises in the drafting process. Here are just some of the features Scrivener has. With so many features, it’s easy to quickly become overwhelmed. So the first thing you should ask yourself is not what is Scrivener, but how can it help improve your writing experience. 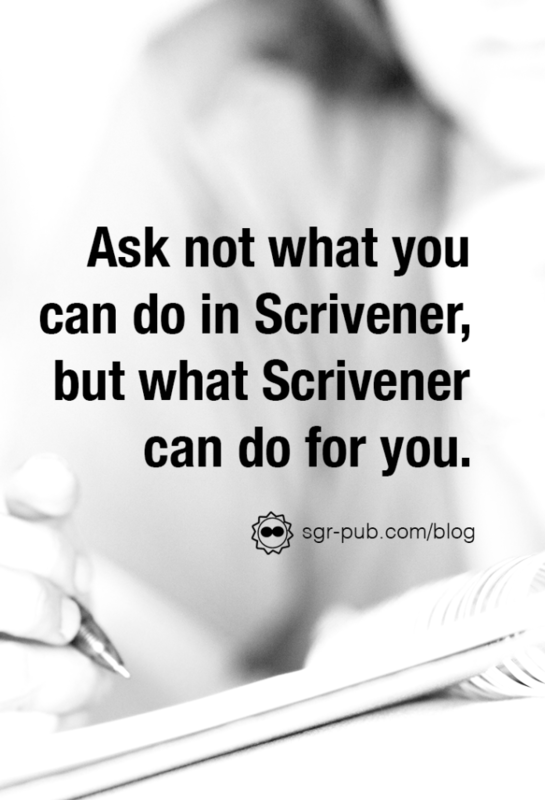 No matter how you choose to write, Scrivener has a method for you. If you’re a writer who loves to know where they’re going before they set out, you can use folders and scenes to outline your book. If you’re a fly-by-the-seat-of-your-pants kind of writer, Scrivener offers a full screen mode, and the ability to reorganize and adjust as you go. All writers, however, can benefit from the structure of Scrivener. It’s designed to be flexible, which can be daunting. Let’s begin by defining each of the levels. When creating a new project from the Fiction preset, you’ll get something like this. There’s a tutorial, some items called Places, Front Matter, Research, Template Sheets, and more. At the outset, it’s best to leave most of these alone and focus on the boxes in yellow. This is where you’ll be focusing all your energy. Scrivener will automatically create a Manuscript bucket for you, adding a template Chapter and Scene. As with the above, if you’re not yet ready to divide the writing into chapters, you can delete the chapter folder. Then just write! Add scenes, add chapters. Write everything in one scene and divvy it up later, or break them up as you go. If you’ve got research to do, you can drag and drop images, PDFs, and more into the Research bucket. Under Template Sheets, you can create basic character profiles, if that’s how you write. You can keep photos and descriptions of scenes under the Places tab. We’ll have a more in-depth look at editing in Scrivener in the coming weeks, but for now, we’ll touch on some of the basics. With all your scenes and chapters in Scrivenings and folders, reordering is a cinch through drag-and-drop. Select two or three scenes at once and view a subsection of your manuscript. Add comments and notes to keep track of things you’ll need to fix later. Use the Project Replace to change character names. The possibilities are endless! One of the downsides of Scrivener is tracked changes aren’t as easy to manage as in, say Word. You can use the Snapshot feature to keep track of what changed and when, but it’s not as collaborative as Word or Google Docs. But the big upside to Scrivener is the relatively easy way to export your manuscript into a variety of different formats. From ePub to Kindle, PDFs formatted for print to .docs for your editors, you can keep one master file. Anyone who’s ever wondered “which version is this?” can appreciate the benefit of not having to edit a period in fifteen different documents. And when you’re on to Books 2 and beyond, having the same formatting presets can save you time and frustration. Suffice to say: We love Scrivener, and we wouldn’t think of writing a book without it.